Ohm’s law graph is a plot of voltage and current where the voltage is plotted on the x-axis and current is plotted across the y-axis. 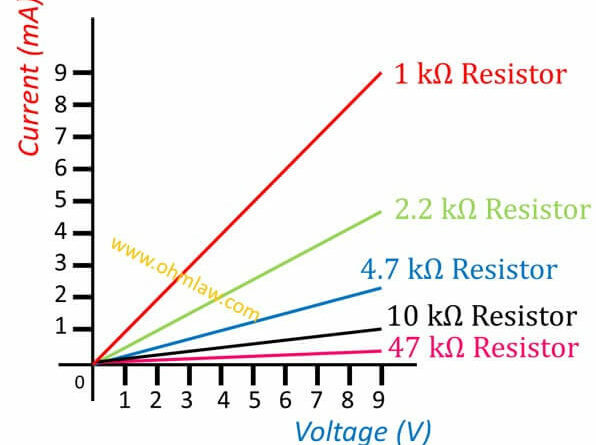 In our experiment on 1 k resistor, we observed a straight linear relationship between Ohm’s law. Today you’ll learn the behavior of slop with the resistance. 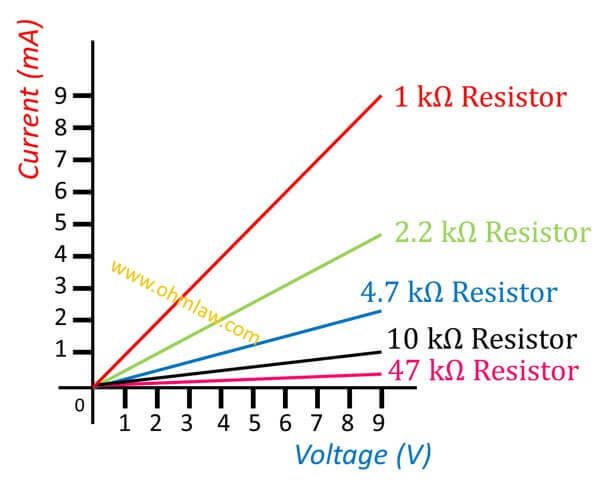 Let’s check the Ohm’s law plot for different resistors. One can easily understand that increase of resistance decreases the slope of the graph. The maximum height of slope actually represents the current. From above two cases, one can easily understand that why slope decreases with the increase of resistance. Ohm’s law wheel: A circular wheel with 12 different formulas for calculating voltage, current, resistance, and power.